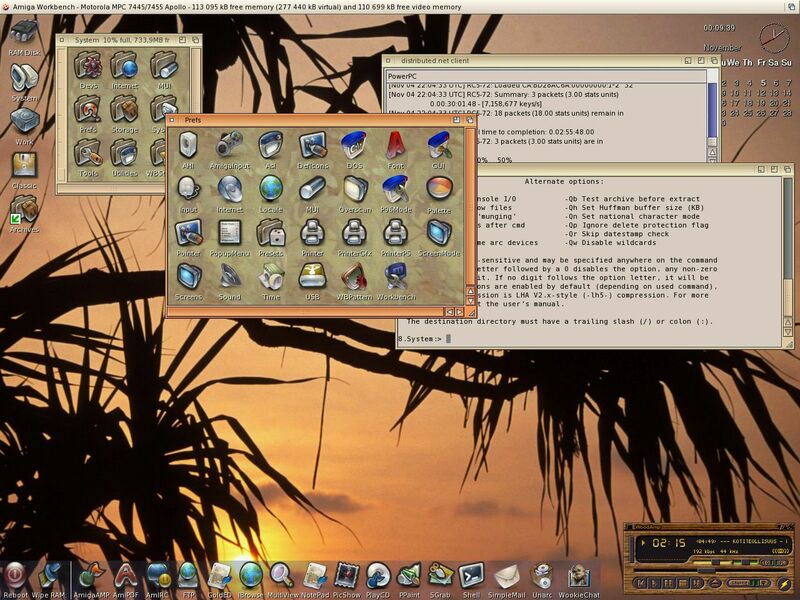 Here are a selection of screenshots of OS 4 released by Hyperion and OS 4 betatesters. Click on thumbnail to view. This is just to prove the video's I put online really are from my BPPC Amiga. This is a recent screenshot of my Workbench. It uses the Powericons patch to add support for PNG icons. The icons themselves are from the umicon and gant sets of this guy. 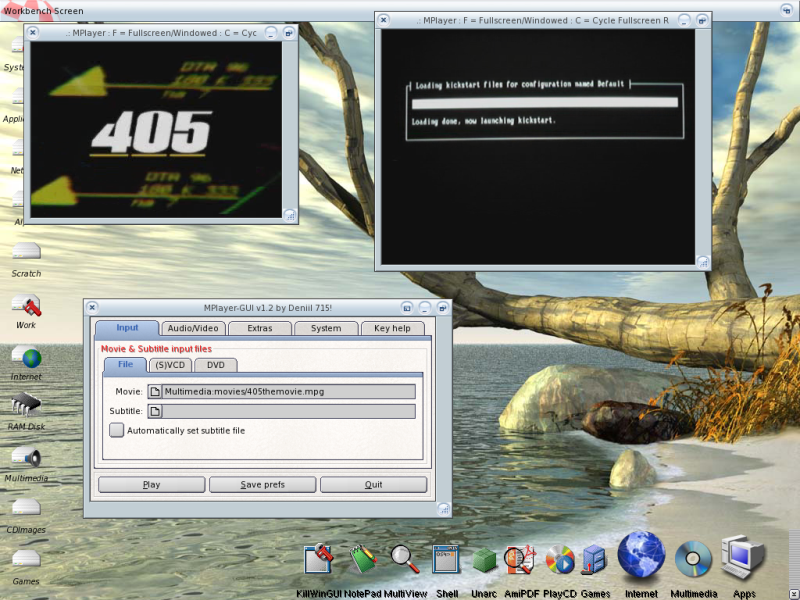 This is OS4 running on my (Ryu) BPPC A1200, its nice and fast, much faster than OS3.9 on my 040 and its running quite well on my Bvision... In the grab you can see DvPlayer, RoadShow prefs (the new TCP/IP stack), AmIRC and AmiDock with an assortment of apps in. Im really enjoying OS4. Personal Paint runs nicely on OS4 as long as you deactivate all Classic HW related stuff in the settings. Along with DPaint it is still one of the best tools for "pixel painting". A slighty customised Workbench. You can see how the memory is divided into virtualized slices. 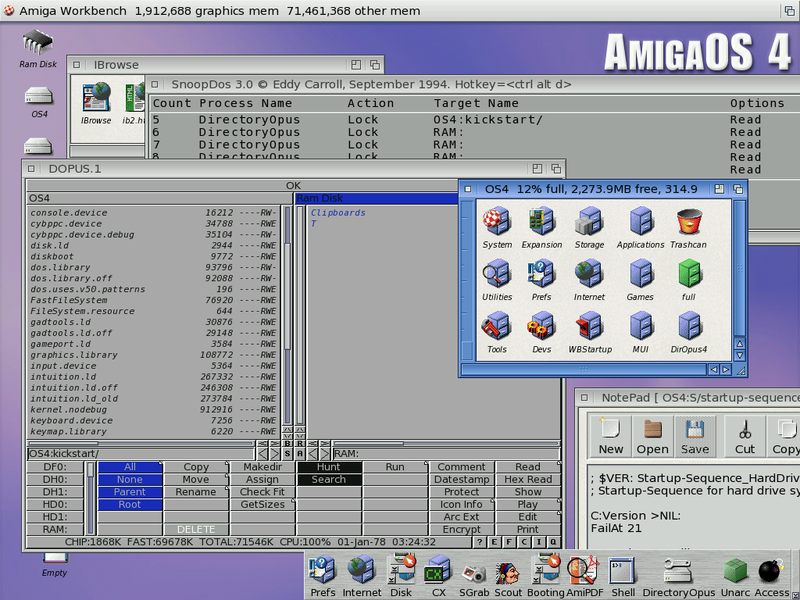 All the programs featured in Amidock run without problems (I only keep the programs I use most in it, though). 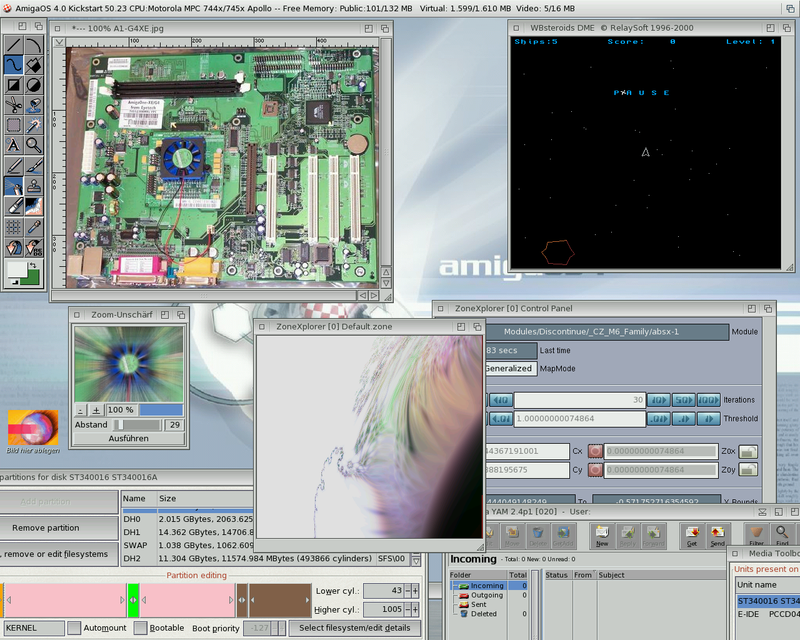 AmigaAmp also plays MP3s nicely through AHI. A simple HelloWorld example using a Requester, the source in Editpad and the running program. In the window the command for compiling and running it, in the background is the OS4 migration guide. The different documentation accompanying the SDK, together with examples, includes and tools. This shot shows you the icon look that will be a part of OS4, as you can see they are very similar to the icons present in previous releases of the operating system, just with a fresher look. Art effect, Asteroids and various other stuff. 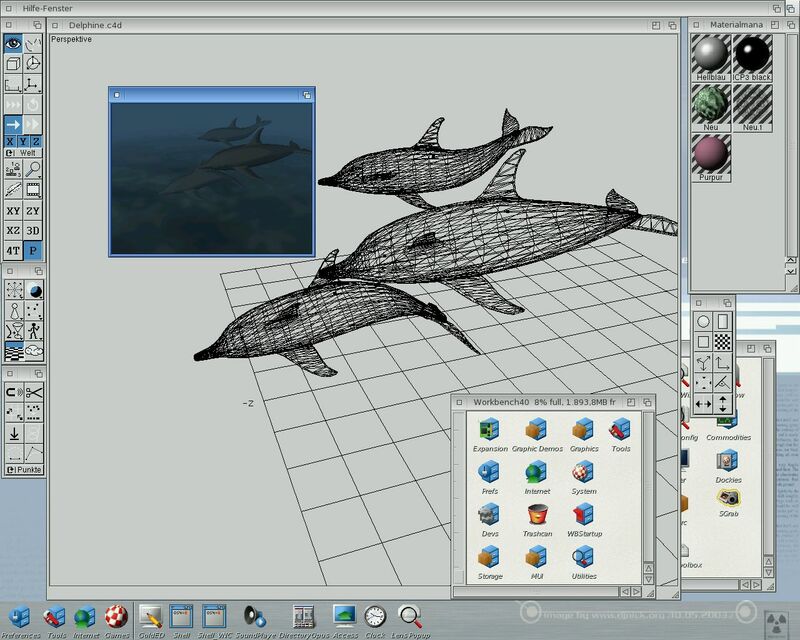 Various programs and a demonstration of the new window system. 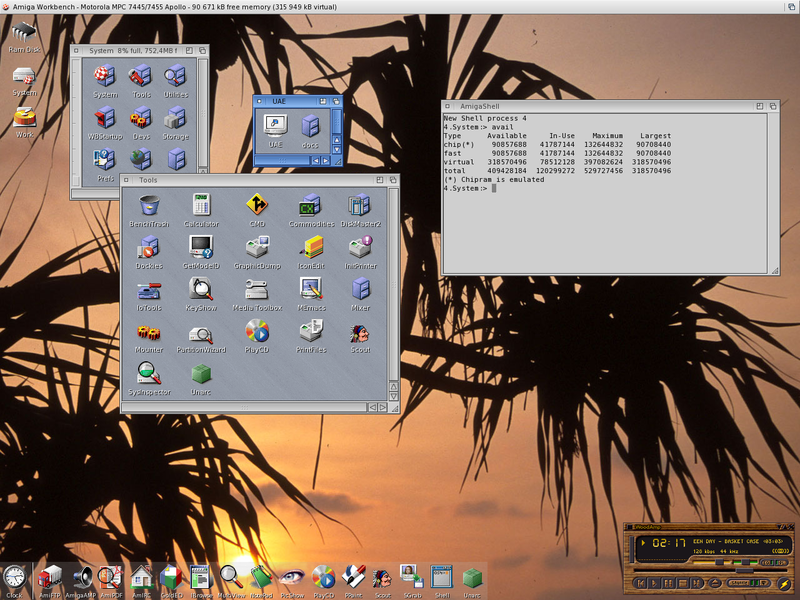 Dopus running emulated on OS4 along with snoopdos. You can also see the new NotePad. 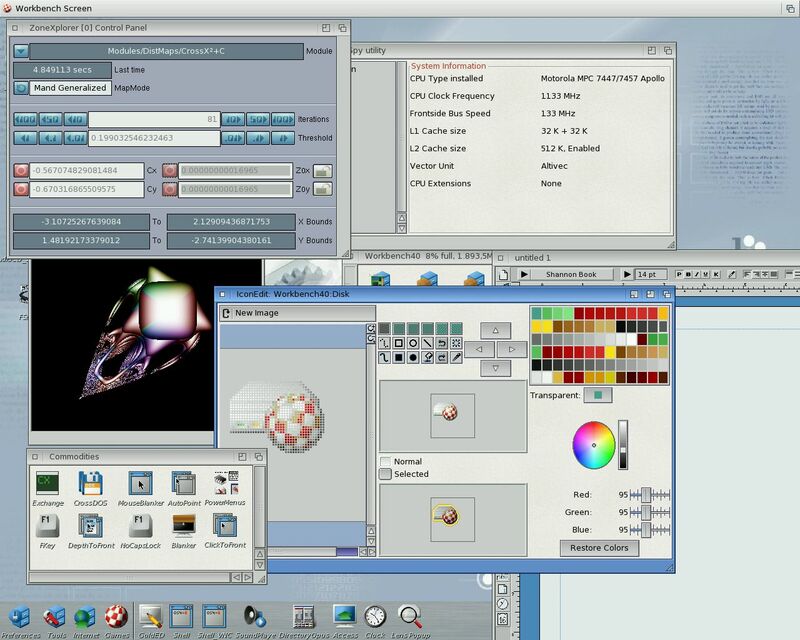 Here you can see, amongst other things, Wordworth running as well as IconEdit and ZoneXplorer. 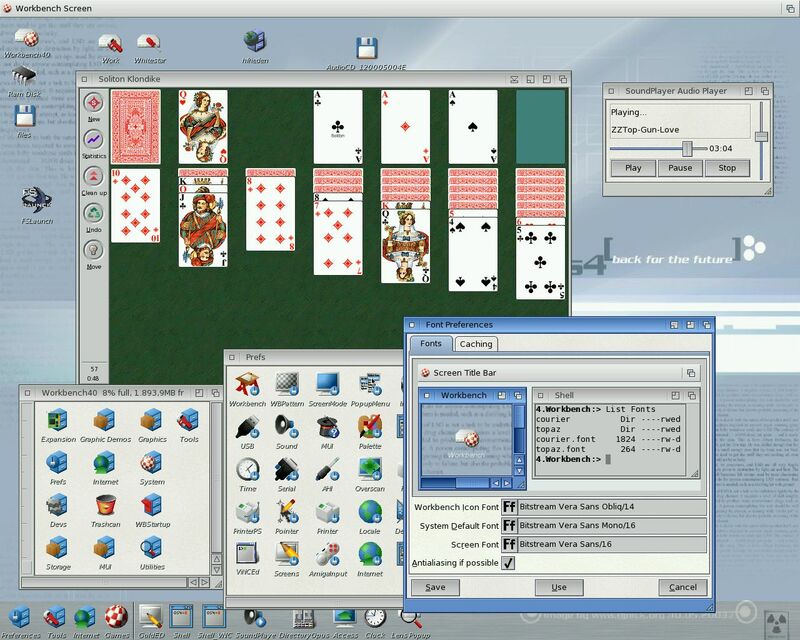 This shows HJF playing Klondike whilst setting up the fonts in the fonts preferences. You can also see some of the new icon's that will come with OS4. 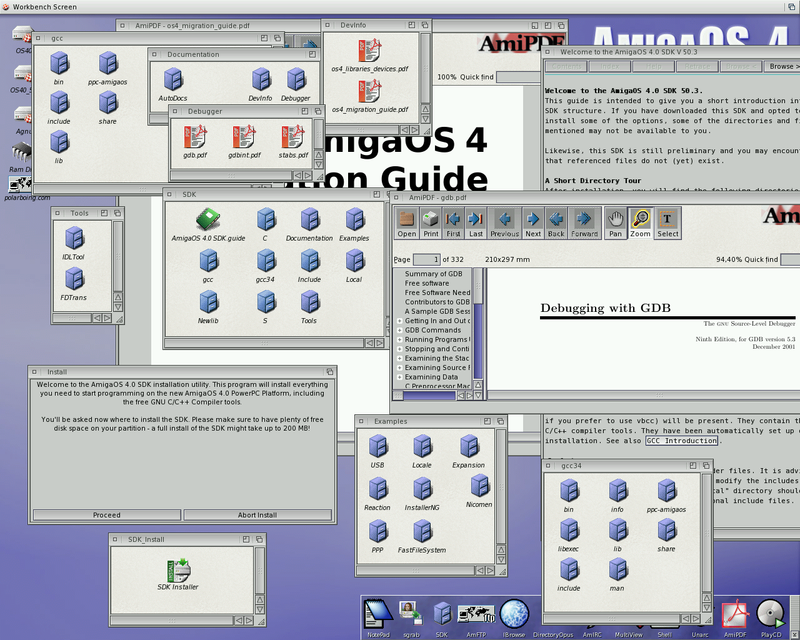 This screengrab shows Cinema4D running on Amiga OS4.